Hotel Stripes Kuala Lumpur has just opened it's door's And being an afternoon tea addict, it has led me to Braserrie 25 situated at the lobby of this chic new hotel and I can proudly confirm - it's up there with my top 10 favourite places for afternoon tea..
Now you might be wondering, what's Le Gouter. 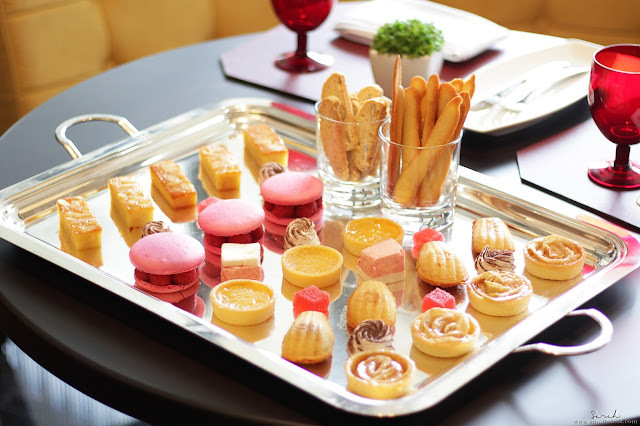 Well, Le Gouter a term used by the French for a mid-afternoon snack or tea time and the main difference between French afternoon tea and English afternoon tea is basically the savouries and scones. 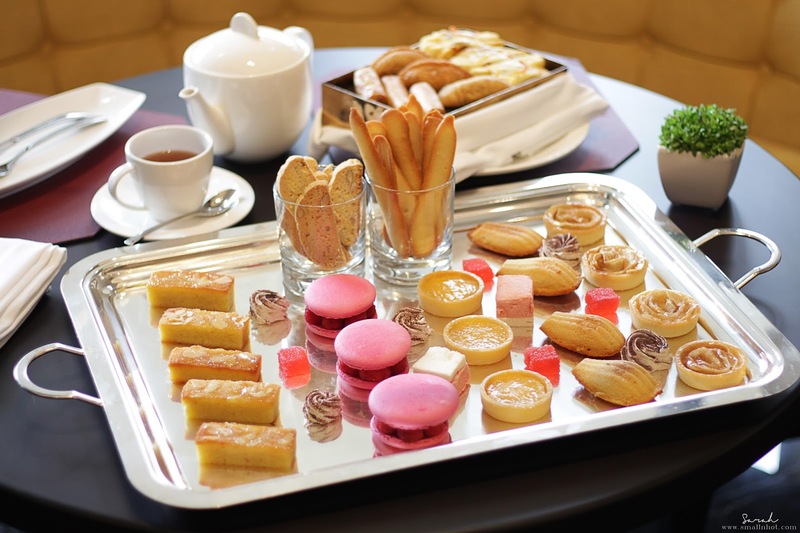 Le Gouter consist solely of sweet treats whereas English afternoon tea has a selections of finger sandwiches and scones. 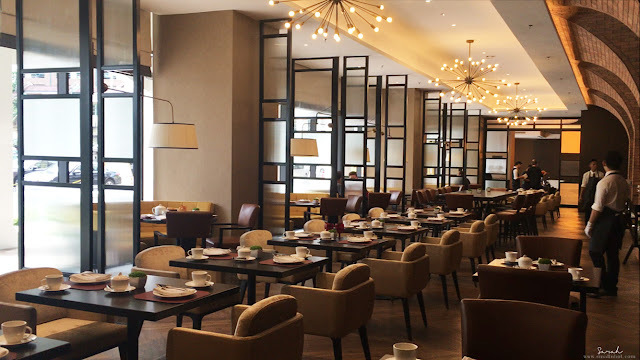 Brasserie 25 at Hotel Stripes, with it's sleek and minimalist interior design is warm and spacious. All the tables are spaced just nicely next to each other so it feels comfortable and intimate. I personally like how quiet it is in the middle of the afternoon so the place feels like it's all yours when you're savoring the delicious teas and deserts. Afternoon Tea at Brasserie 25 is priced at a modest RM 60 per pax, considering the free flow of sweet treats and desserts that you will be getting. Anyway, to start off the afternoon tea, we were served with a pot of black tea with coffee and other drinks charged at menu price. Savouries arrived to our table after the tea and they were good with a nice variety. For a bit of a twist, the Steak Fries was served with sambal sauce and cheese, giving a Malaysian touch to the dish. 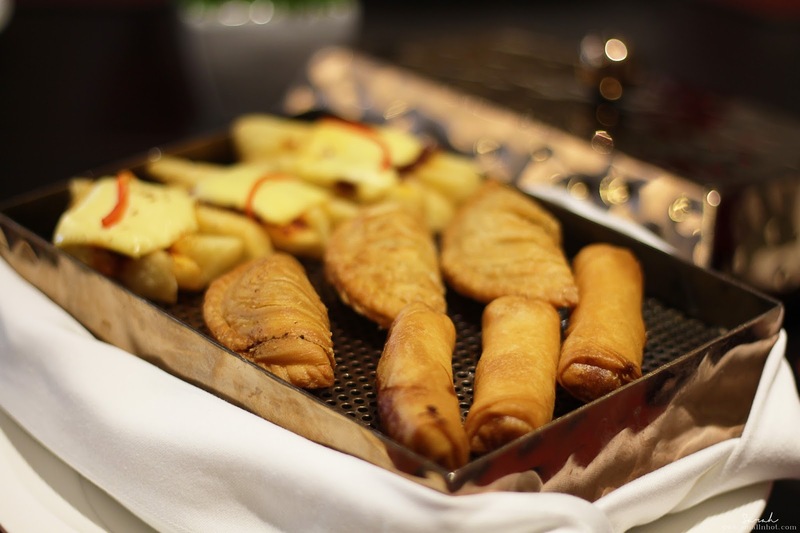 The flavours and ingredients for all the savouries were not overly pronounced either, they were balanced, just the way a Malaysian would love it to be. All of the desserts were magnificent and very intricately put together. 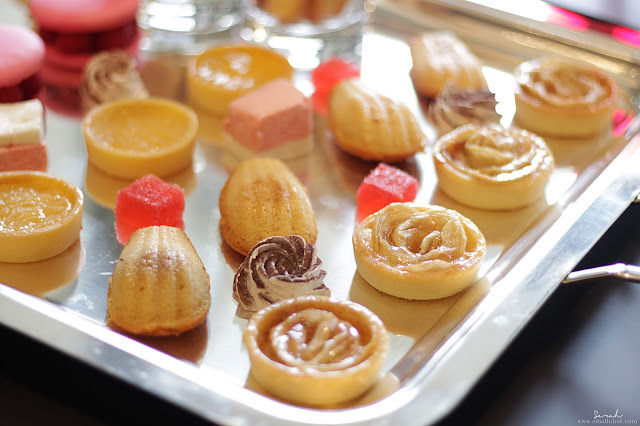 Apple tarts were flavourful with the sweetness from the caramelized apple and dust of cinnamon powder, madeleines and the french almond cake was a dream come true, macaroons and marshmallows was homemade, fresh and vibrant. It tasted as good as it looked. 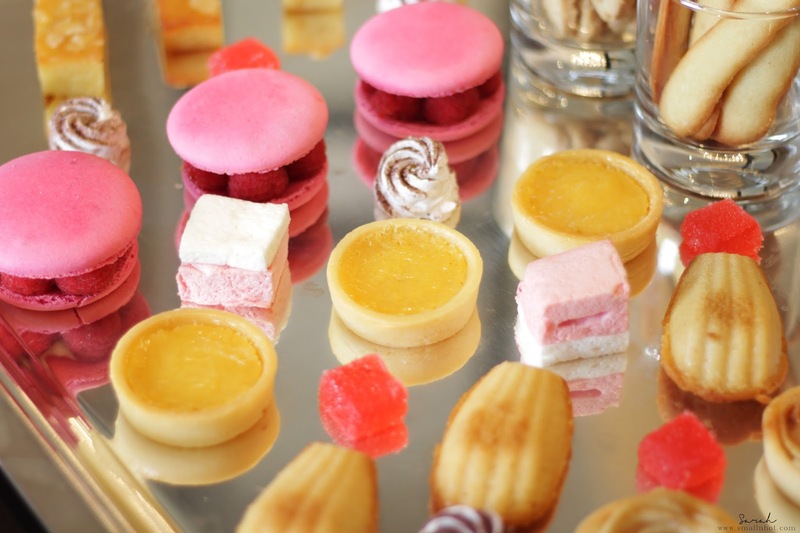 But the lemon tarts were really something special. These weren't any typical lemon tart that comes with an overpowering sour lemon flavour, instead the lemon flavour was so light and fluffy, the perfect ending to an utterly divine French Afternoon Tea. 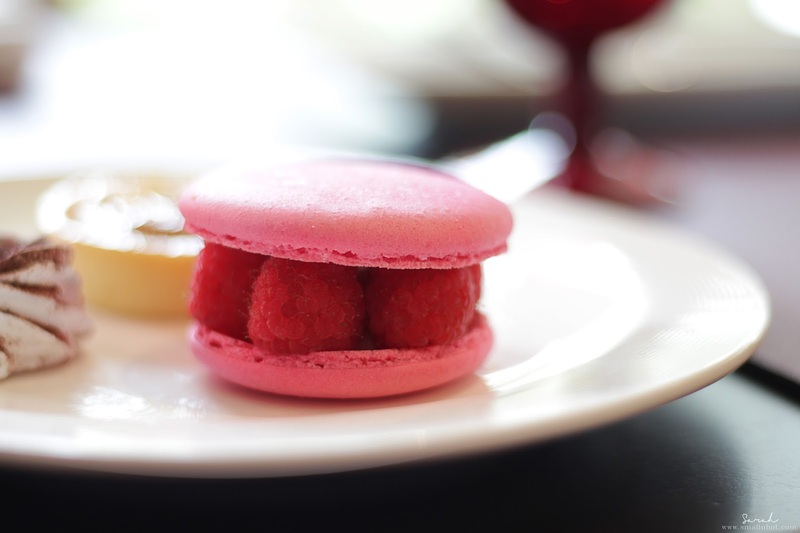 Overall, we had a great Le Gouter experience at Brasserie 25, Hotel Stripes Kuala Lumpur and one I actually recommend. 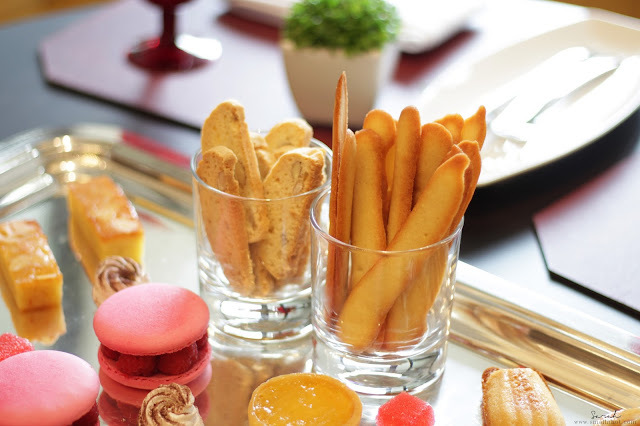 As not only they offer free-flow of desserts but they have a nice ambiance to enjoy it with. The only downside is the tea selection available, which hopefully they will be expanding their tea menu in the future. Anyway, at a price of RM 60 nett per person, it's certainly worth every single penny.